Sunday the day of rest and today’s review is Lacasa turrón de Cheesecake, and was part of some exciting goodies brought back for me from Spain. Pretty as a picture and despite not being a great cheesecake fan. I was looking forward to trying this rather different goodie. As with all cheesecakes you have the biscuit base and cheesecake upper, and this is no different, albeit the two layers aren’t very visible to the eye. The first thing I noticed was the smell, and not a very nice smell, a cross between cheap quality white chocolate and sickly smelling cheese. From the smell alone I did question even eating this, but persevere I did. 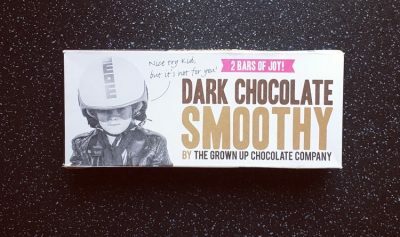 The bar was rather tricky to eat and practically crumbled at the slightest touch. 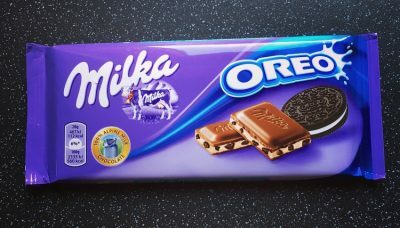 When I managed to munch on a whole bit surprisingly it wasn’t overly sweet as expected. The biscuit layer was more shortbread in texture and the cheesecake topping was smooth and creamy with a slight tang. 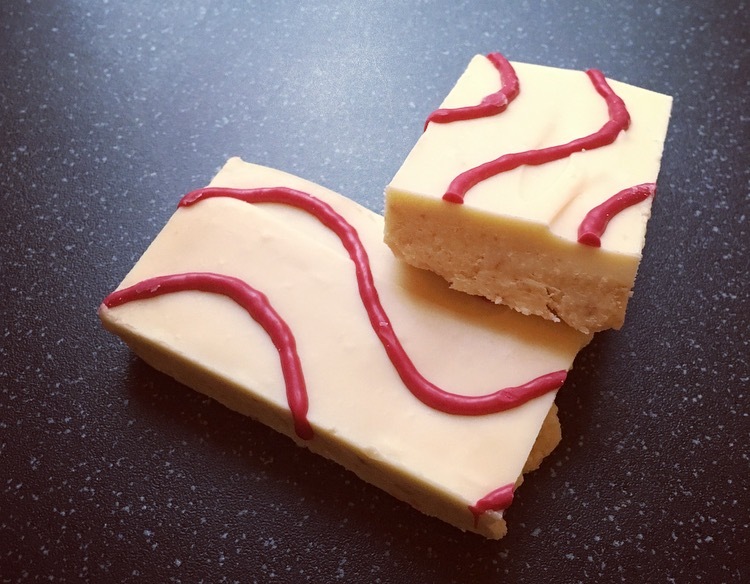 There was a fresh flavour of raspberry running throughout the cheesecake bar, which was a pleasant surprise and I assumed came from the pink waves on top as well as the flakes of pink throughout the creamy filling. I do question the praline aspect of the bar as I certainly could not distinguish it. As a whole it doesn’t completely mirror cheesecake but it does share some similarities, the biscuit base, the tangy light topping, and even the addition of raspberry. 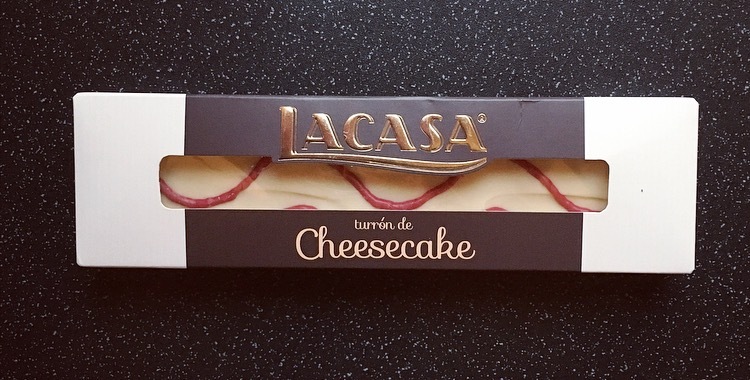 Don’t let the smell put you off because this Lacasa turrón de Cheesecake is actually rather delicious.